Canal Street was a relatively short lived knife manufacturer, but they made some great knives while in business. This page is an index of all the Canal Street related information & interactive places to visit at AAPK. You can learn about the company’s history, view pictures of the knives they made, participate on our Canal street knife forum by asking questions & sharing info, & by buying and/or selling knives on the AAPK Member store. Discussion Board A discussion board dedicated to Canal Street Cutlery. Stop by and ask questions, share pictures, participate in discussions related to Canal Street Knives. 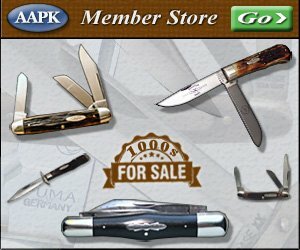 Image Gallery A collection of pictures of Canal Street Cutlery knives. Stop by and view them. Upload some if you have any. Canal Street Knives for Sale This link will bring you to all of the Canal Street knives AAPK members have available for sale. New old stock discontinued CSC Knives are added regularly.